Size: Medium 8-10, Color: Black is currently out of stock! Size: Small 4-6, Color: Black is currently out of stock! Includes hat, beard, and jacket. Does not include book, pants, or shoes. It's time to be President of United Nations and govern the Nation. 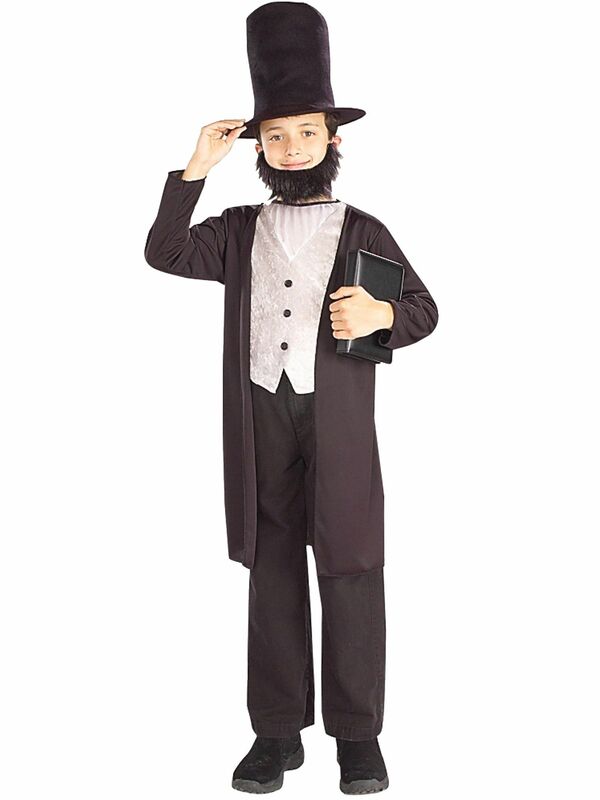 The Abraham Lincoln Child Costume comes with all the essentials like a hat, beard and knee height jacket your son needs this 4 July Independence Day parade or for Halloween. Book, pants and shoes as visible in the picture are to be purchased additionally.